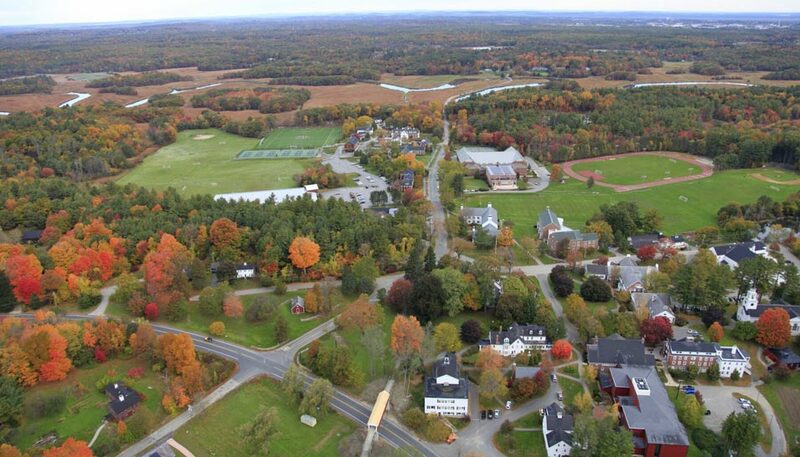 The Governor’s Academy in Byfield, MA, is the oldest continuously operated boarding school in the U.S., where young men and women in grades 9 through 12 prepare to become the citizen leaders of tomorrow. More than 400 students from 23 states and 18 countries create a vibrant, fascinating global community. Two-thirds board and one-third are day students. The Academy is adjacent to the Great Marsh, 33-miles north of Boston, and 5-miles south of Newburyport. The 450-acre campus has extensive facilities for academics, athletics, and visual and performing arts. Innovation and a forward focus are as much a part of Governor’s as our 255-year-old history. Students flourish in a diverse community distinguished by enduring relationships with teachers and defined by a commitment to learning and a thoughtful balance of academics, athletics, arts and service to others. Academy graduates are life-long learners who embrace their civic duty and global responsibility. 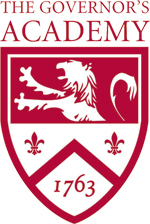 The Academy offers a full range of visual and performing arts, more than 50 interscholastic athletics teams, and dozens of service, leadership, cultural, and recreational activities. What does this mean? Academic rigor and a commitment to best practices in teaching – a co-curriculum that stretches and develops the character of students – a community that values the arts and encourages students to explore and take risks – a commitment to a motto of service that has real meaning in the daily lives of students. Accountability, responsibility, and cooperation form an unwritten curriculum and guiding purpose at Governor's that has produced generations of leaders. Here you will find the courage to take risks, the wisdom to learn from your mistakes, and the confidence to put the needs of the wider world before your own. Get ready to take risks in a healthy atmosphere where every club and team welcomes new members, and teachers encourage students to take classes and join activities outside their comfort zone. In all your endeavors everyone values the diversity and shared perspective. We encourage you to learn more about The Governor’s Academy by visiting our website and scheduling a campus tour and interview. To schedule a visit, please call the Office of Admission at 978.499.3120.